Tomorrow is Memorial Day 2017. I know I’ve mentioned before that I am fiercely patriotic about my country. I’ve had the great privilege of being born and growing up in the United States of America. I’ve also had the privilege of living in another country. It was such a lesson to see how other countries view the U.S.
My brother, Bill, enlisted in the Navy right out of high school. I remember a time when he was shipped overseas, and I became afraid for him. But he came home, safe and sound. And then I met the man who would become my husband – and the love of my life. Fred’s father was a Chaplain in the U.S. Air Force. And even though I became more interested in the military at that point – because of Fred’s Dad – it wasn’t until Fred joined the U.S. Air Force himself that my interest became intense. I had not ever really envisioned what military life was all about. I’ve seen advertisements for t-shirts that state that the military person was one who, at some point in their lives, signed a blank check to the U.S. Government, up to and including their lives. And that brings us to Memorial Day. I’ve not had a family member die in battle. My heart cries for those who have had that happen. But I do have a family history of military service. My Dad – I didn’t know for quite a few years, that my Dad served with the U.S. Army in World War 1. He was in the medical corps, and served in France. My brother served in the U.S. Navy – active duty for four years, then more in the reserves. He was stationed on board ships in the Mediterranean and in Japan. My husband served for over 22 years in the U.S. Air Force as a meteorologist. 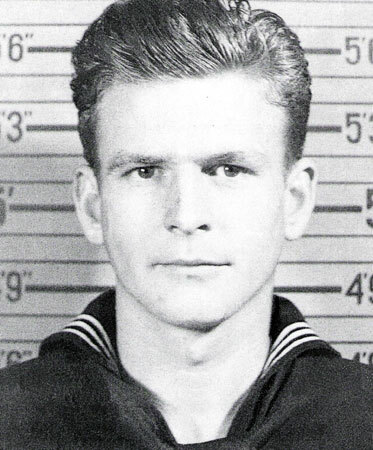 He served in six states and twice in West Germany. My father-in-law served in the U.S. Army – later in the U.S. Air Force – for over 28 years as a Chaplain. He served all over the world. In 1943 he was wounded in the invasion of Sicily, by shrapnel from a German mortar. He carried the quarter-size piece of shrapnel in his body, too near his heart to be removed, for over 66 years. My brother-in-law – Fred’s brother – served in the U.S. Air Force as a Chaplain for 20 years. All-in-all, that adds up to nearly 80 years of service to this country by my family members. And it was all done voluntarily. All of these men are veterans. And that marks the difference between Veterans Day and Memorial Day. Memorial Day honors those who gave their lives defending this country. They are the ones who, when they signed that blank check to the U.S. Government, actually gave up their lives for freedom. And that’s the crux of this: it is our military that has given us our freedom – not the politicians in Washington D.C. As a matter of fact, I think that service in our nation’s military should be a prerequisite for holding government office. 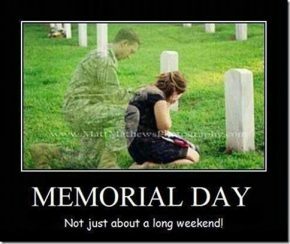 I would like to honor the memory of all those who have died for the cause of freedom. Outside of the cause for Christ….there is no other greater. May God 🇺🇸 bless America! ← How to feel worthy. Absolutely beautiful! Thanks for sending that on.! It really says it all, doesn’t it? How could I add a single word…..